To an outside observer not familiar with the social practices surrounding a particular media form, anybody engaged with media will appear to be acting anti-social. However, all media is in essence a communication between its creator and its participants. 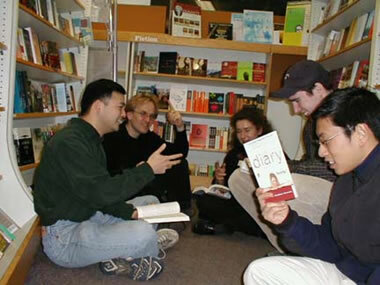 As participants themselves become creators by developing additions to a media world -- an interpretation of an intriguing mystery or a strategy for overcoming a vexing problem -- it becomes natural for them to want to share their contributions with others. 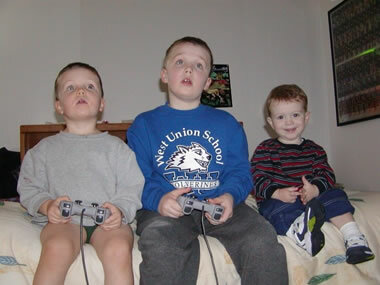 For video games in particular, the social connections between participants are especially intricate. Forget the stereotypical image of a young child entranced in a video game, slowly training his finger movements until he is able to beat the final level of a game. As video games have moved into online environments, player success is becoming less dependent on individual physical dexterity and increasingly on complex collaboration between multiple players. In the current (2006) number one selling online game, The World of Warcraft, advanced game levels are designed such that successful completion of each of the missions requires the effective coordination of forty live players. In this way, the real game becomes about networking with 39 other players who's characters have complementary skill abilities, then rehearsing all the carefully choreographed routines required for a particular mission -- anything from complex coordinated battle sequences to virtual synchronized swimming. Most foreign language classrooms today include some form of social game activities in class (even something as simple as "Simon-Says"). 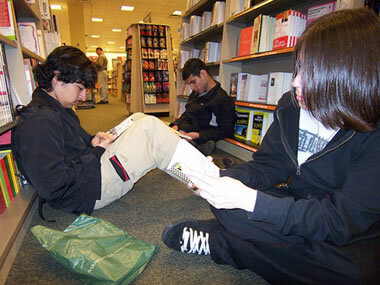 Many also assign computer games for use outside of class (ie quia.com). However, only a smaller number of more innovate teachers currently are currently able to connect social activities with video games. For students not fortunate enough to be in those classes, having to play antiquated computer games divorced from the social contexts one would expect in any video game played outside of class can be more frustrating than rote memorization. If we look closely at the social practices emerging around contemporary video games, many of them already provide richer learning experiences than we could have designed. For foreign language learning in particular, the international demographics of video game players today affords a perhaps the most opportunities for creating social learning experiences with video games of any educational discipline.